What a creative portrait of a newly engaged couple. AL Gawlik Photography is finding a new way to tell a beautiful story about this engaged and happy couple. 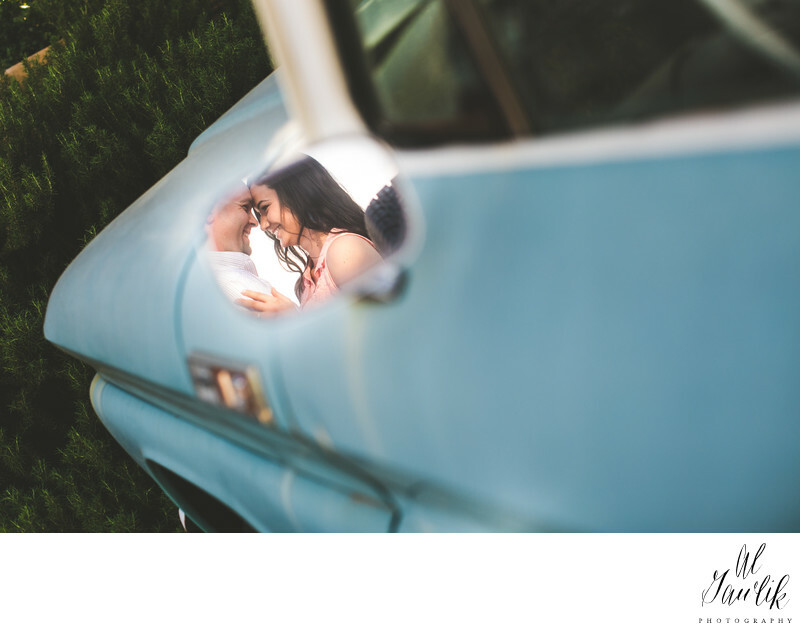 We are looking at the start of something in a rear view mirror of a classic pickup truck. How cool is that?